At Ball Heating & Air, your home heating and air conditioning system needs routine tune-ups to operate in an efficient, safe, and reliable manner. 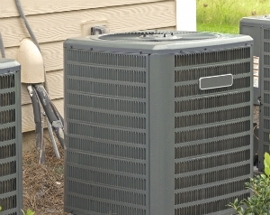 We offer our unique precision tune-up which includes everything that can possibly be done in order to restore your heating and air conditioning system to its very best condition. We currently work with clients throughout the Wiggins, Gulfport, Moss Point, and the Greater Biloxi area. Call us today at (228) 207-5345 for your home comfort solutions.